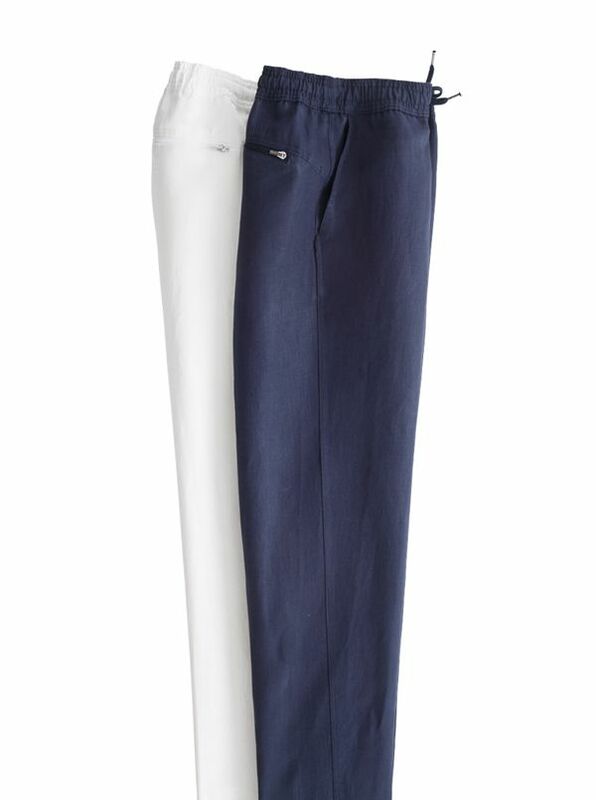 Linen Leisure Pants by Derek Rose are relaxed and refreshing, tailored of 100% linen. With elasticized drawstring waist, front pockets, back zip pocket, magnetic fly closure. Imported.